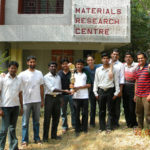 The Materials Research Centre (MRC) was established as the Materials Research Laboratory in 1978 to pursue research and provide education in the interdisciplinary field of Materials Science and Technology. 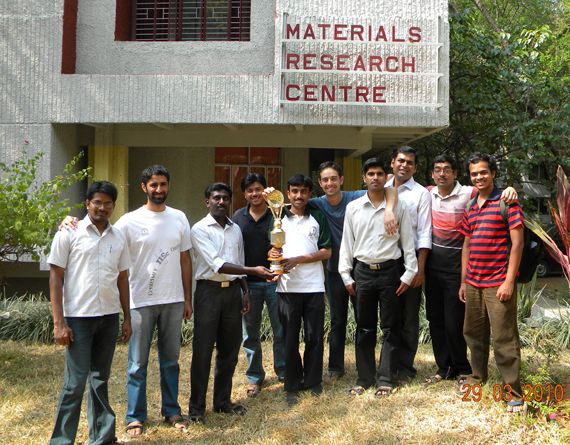 It was renamed as the Material Research Centre in 1987. 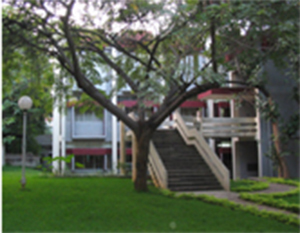 Currently the Centre has 9 active faculty members, 2 emeritus faculty members and 5 associate faculty members from other departments, including one honorary professor. 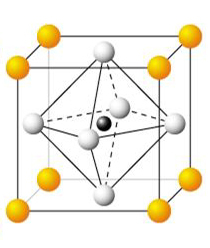 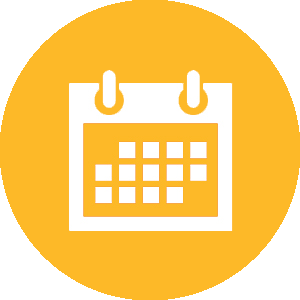 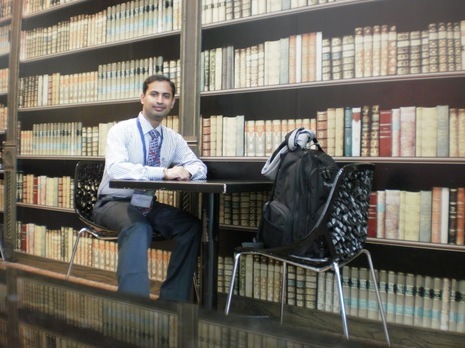 aNANt is an initiative of Materials Theory and Simulations Group at Materials Research Centre, to develop and host an open-access online repository of functional materials. 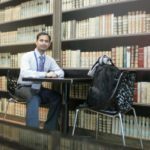 IUMRS-ICA2015 conference in Singapore.February 12, 2017 11:50 amDebasmita Dwibedi, of Dr. Prabeer Barpanda’s group has won best poster award at IUMRS-ICA2015 conference in Singapore. 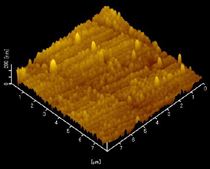 Transmission electron microscope image (TEM) shows a gold particle that is <100 nm (1 nm = 10-9 m) in thickness and about 1 micron in lateral dimensions. 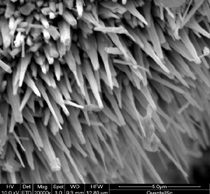 Scanning Electron Microscope image of Ga2O3 nanowires. 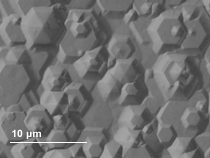 This beautiful scanning electron micrograph seen is the fracture surface of a poly-crystal of CoSb3 containing Mn and Yb. 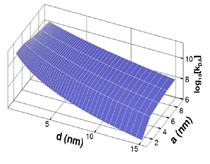 Graphical representation of the results of theoretical modeling of energy transfer between an excited dye molecule and a nanoparticle. 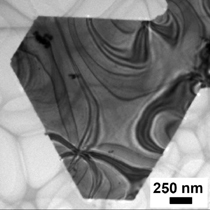 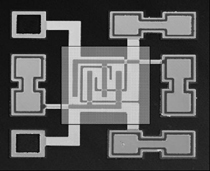 Atomic force microscope image of an optical bragg grating made out of a glass nanocrystal composite.